Although European river cruises are all the rage today, for the most part they aren’t a good choice for wheelchair-users and slow walkers. The majority of European riverboats lack elevators, and most don’t have even the most rudimentary access features in their cabins. And then there are the shore excursions, which present numerous obstacles, from boarding issues to wheeling over cumbersome cobblestones. So generally speaking, wheelchair-users and slow walkers have been excluded from this popular cruise option. 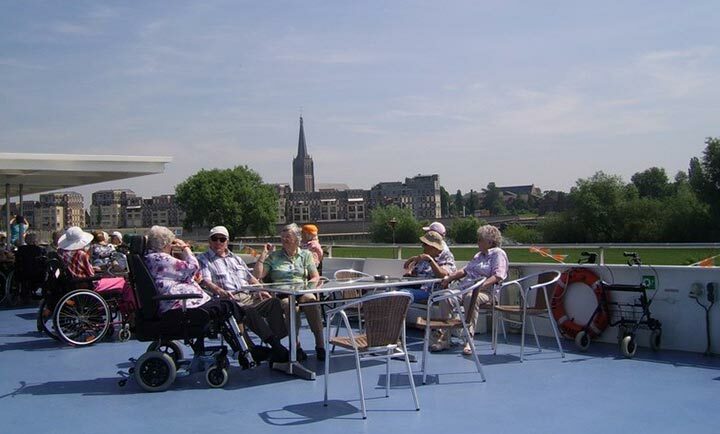 That is until recently, when a Dutch travel agency unveiled a truly accessible river cruise. 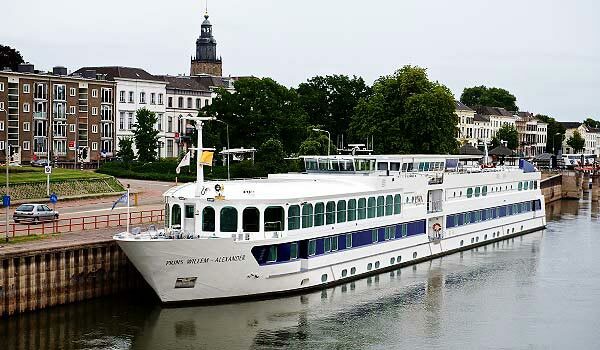 Accessible Travel Netherlands (www.accessibletravelnl.com) began offering these cruises in 2017 aboard the wheelchair-accessible Prins Willem Alexander along Holland’s scenic waterways. 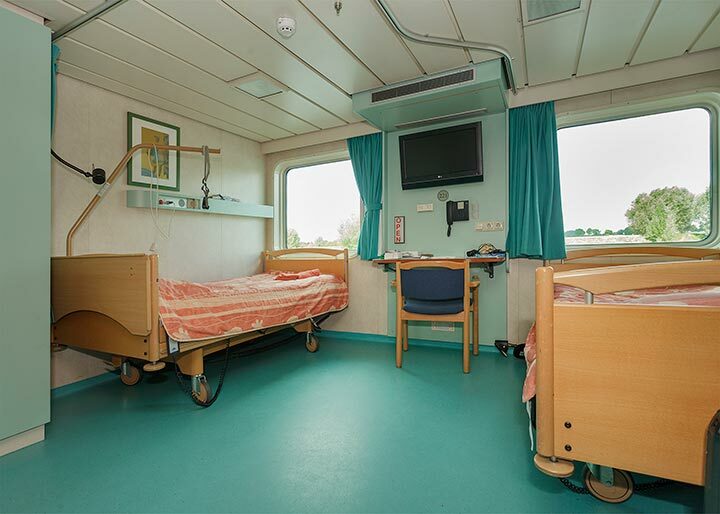 This former hospital ship is not your typical riverboat, as it includes 25 accessible cabins, and 23 standard cabins. 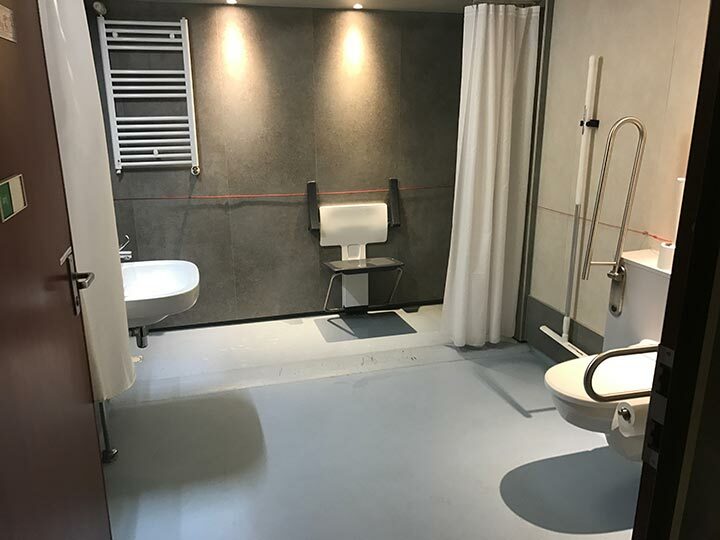 Each accessible cabin is equipped with two hospital beds, a wash basin, an emergency call button, and plenty of room for even the largest wheelchair or scooter. The bathrooms are shared by three cabins, and they each include a roll-in shower with a shower seat, a hand-held showerhead, an accessible sink, and toilet and shower grab bars. Access is excellent in them, and according to former passengers, since a bathroom schedule is set up on the first day, sharing isn’t really a problem. Additionally, there are four accessible toilets on the main deck. The rest of the ship is equally accessible, with wide hallways, oversized elevators and good wheelchair access to all areas. 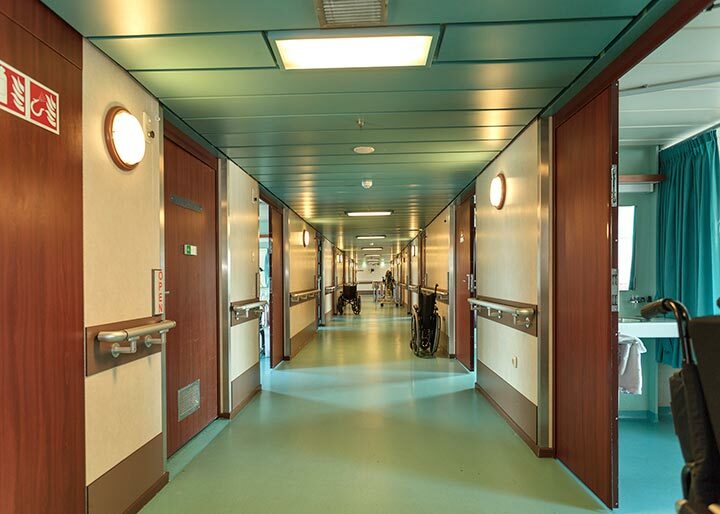 Additional mobility equipment, such as hoists or commode chairs, can be delivered to the ship; and personal care assistance is also available. 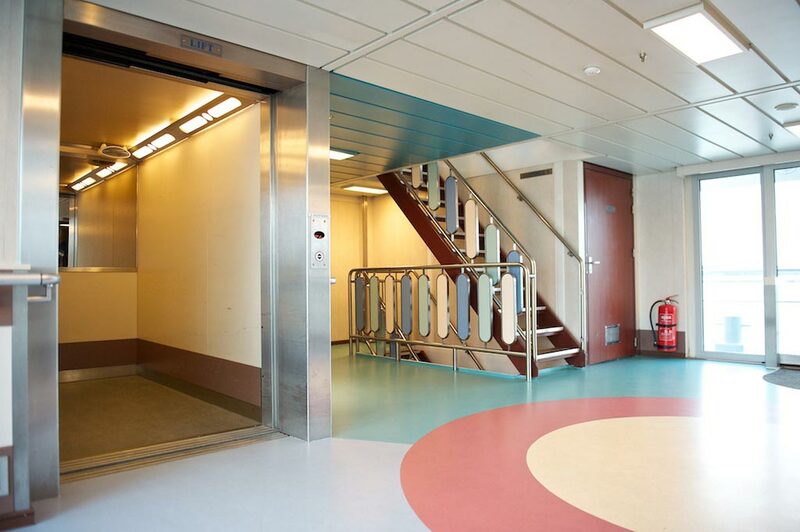 And best of all, there’s roll-on access to the ship via an accessible boarding ramp, so getting on and off is a snap. Shore excursions — which are included in the fare — typically consist of an accessible walking tour with a local guide, followed by free time to explore the port city on your own. And then it’s time to reboard the Prins Willem Alexander and enjoy a tasty evening meal. These charter sailings are offered several times each year, and according to Veroniek Maat of Accessible Travel Netherlands, there’s already a waiting list for the popular April 1, 2018 sailing. That said, there are still openings on the remaining 2018 cruises —September 2 and September 9. The former calls on Arnhem, Nijmegen, Dordrecht, Zaandam, Kampen and Hasselt; while the later features stops at Hasselt, Urk, Harlingen, Vlieland, Lemmer and Kampen. 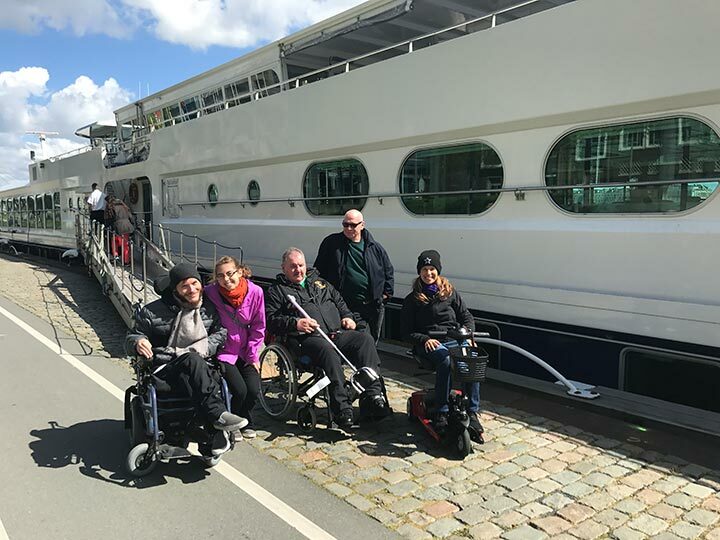 Accessible Travel Netherlands also plans to charter the ship from Stichting Varende Recreatie (Sailing Recreation Foundation) again in 2019 for several cruises — including another April cruise. And since all of these sailings are charters, they can only be booked through Accessible Travel Netherlands, so make plans now to get rolling on Holland’s rivers.